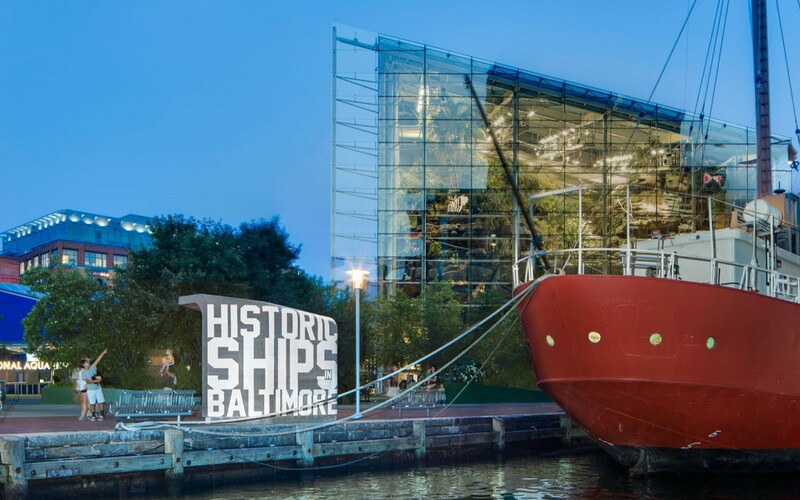 The non-profit organization Historic Ships in Baltimore preserves the US Sloop-of-War Constellation, the US Submarine Torsk, the US Coast Guard Cutter Taney, and the Lightship Chesapeake to allow visitors to experience firsthand over 200 years of naval history. 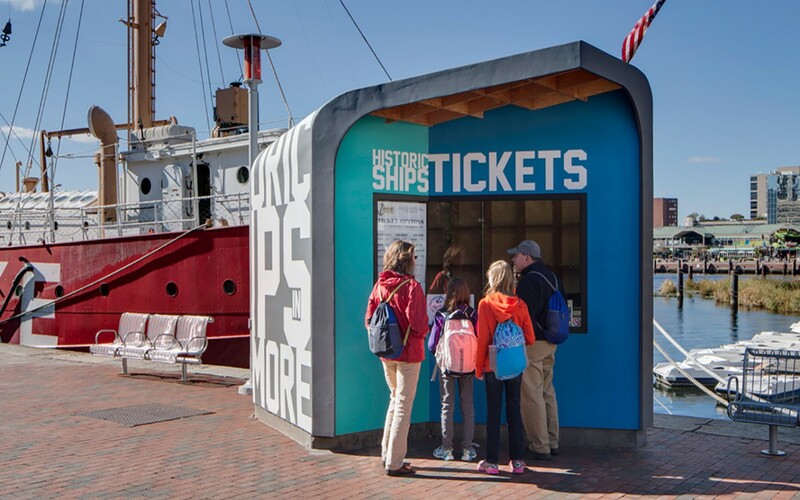 To continue to serve 140,000 yearly visitors and encourage increased ticket sales, Historic Ships sought to replace their deteriorating, non-descript existing ticket booth with a new structure that provides a compact footprint, increased visibility, and separation from the nearby landscaping of the Aquarium. 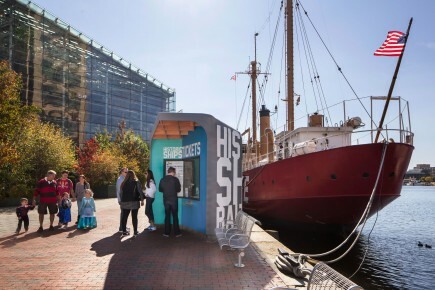 In addressing these goals, it is critical that the design creates an identity that is distinct from the Aquarium, both spatially and symbolically. 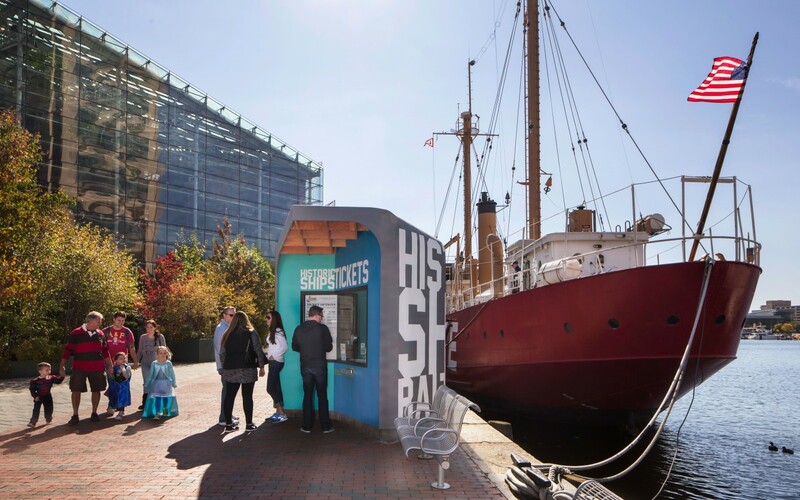 The program is simple: one point of sale terminal within a tempered interior environment for a cashier, a transaction counter, and signage for identification and pricing to facilitate ticket sales. 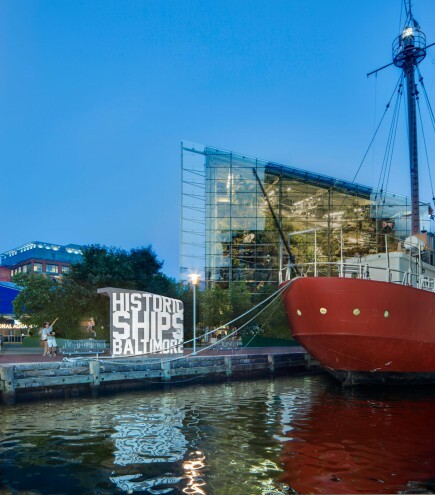 Baltimore’s Inner Harbor sees 14 million visitors every year and has been touted as “the model for postindustrial waterfront development around the world” by the Urban Land Institute. 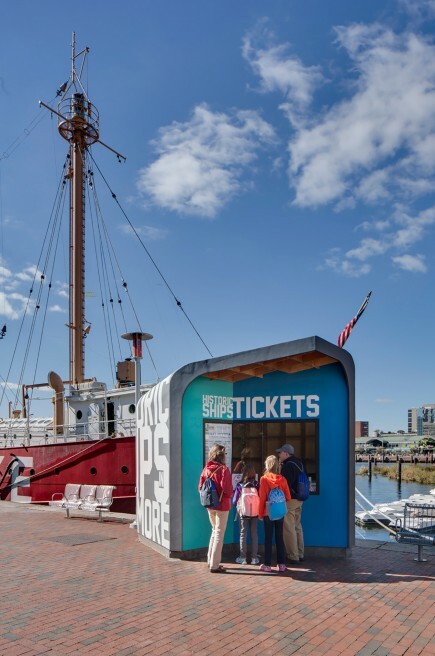 Within this exciting context of history, entertainment, and culture, Ziger/Snead teamed with Historic Ships in Baltimore to design a new ticket booth for the ships.